Learn maqamat and recite with beauty and emotion! Connect with the Quran like never before! 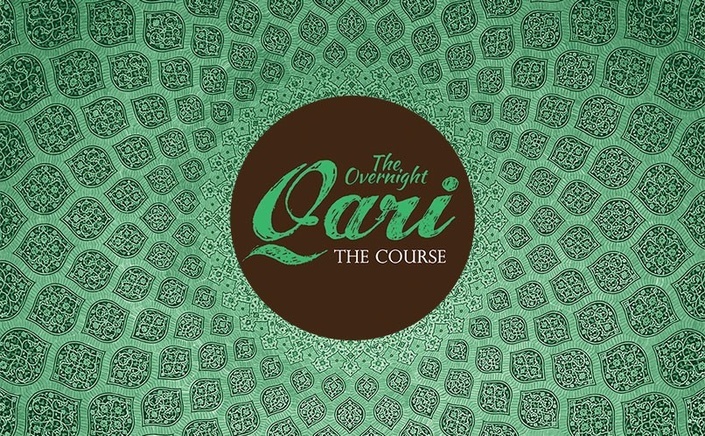 From the founder of ReciteinTune, the leading English language resource on the art of recitation, comes another first-of-its-kind program: The Overnight Qari Course, an online program that will transform your recitation and forever change your relationship with the Quran. Finally you can experience the joy of reciting beautifully and be in that moment where the Quran comes alive in your heart and your voice reverberates with emotion and love for this great gift that Allah subhanahu wa ta’la has given to you. The Overnight Qari Course is all online, so you can study comfortably from your home. The program is self-paced and the lessons are delivered in video format. Upon enrolling, you will have immediate access to the entire course so you can have the flexibility to learn at a pace that is comfortable for you and based on your schedule and commitments. I benefited tremendously from the course and my connection with the book of Allah increased. Today I recite the Quran more often, knowing that I am capable of producing some of the beauty found in Allah's book using my own voice. The Overnight Qari Course consists of eight main lessons, delivered in video format. Each lesson is approximately one hour long and includes a lecture component as well as vocal/recitation exercises. Additionally, an introductory and conclusion session in audio format are also included. Below is a list of the major topics we will discuss in The Overnight Qari Course. Note that this is not the full course outline; this is just to give you some sense of the material we will cover. Sh Idrees Ally's style of teaching was simple, easy to understand and effective. I feel more confident with my recitation than before and I actually enjoy it more too. I would recommend courses with Sh Idrees. You will find them most beneficial. The Overnight Qari Course is self-directed, in the sense that it’s up to you to go through the material and work through the exercises at your own pace. However, it’s unique from many other self-directed programs in that you’re not left completely on your own – we’ll work through the exercises together in the lessons. I’ll recite, and leave time for you to repeat, and we’ll work gradually through the exercises, from simple ones up to more challenging ones. This step-by-step progression will help you internalize and learn the pattern for the maqamat we’re covering (maqam Bayati, Hijaz, and Nahawand). The entire course (8 video lessons) is available to you upon registration. Because you don't need to be in class at a fixed time, you can work on your recitation while still juggling school, work, or family commitments. And once you register for the course, you will have lifetime access to all the lessons and resources. To get the best results from this program, students should be able to recite fluently and should have taken at least a beginner’s tajweed course that covered the basic rules. When learning the art of recitation and maqamat, we build upon the framework of tajweed, so the more tajweed you know, the better you will be able to beautify your recitation and fully appreciate the subtleties of the art. Our Beautiful Tajweed program is an excellent place to start if you need to brush up on your tajweed or if you have not studied tajweed before. If you haven’t studied tajweed formally, but you can still recite fluently with a working knowledge of tajweed, then you can still benefit from this program; however you may not understand all of the terminology we use or appreciate some of the subtle points we discuss in relation to tajweed. I would recommend that you do try at some point to enroll in a tajweed program as this will benefit your recitation greatly. By the end of the course, I want your recitation and your relationship to the Quran to be transformed. The program is designed so that you’ll be able to learn to carry a tune in the maqams we’re covering, and so that you’ll be able to use your voice to bring out the meanings of the Quran, forever changing the way you feel while reciting. But of course, in a program of this nature, I’m not handpicking students so it goes without saying that results may vary depending on your level of recitation coming in to the course, and also based on how much practice you put in during the course. Your instructor, Idrees Ally, is a reciter and teacher of the Quran. 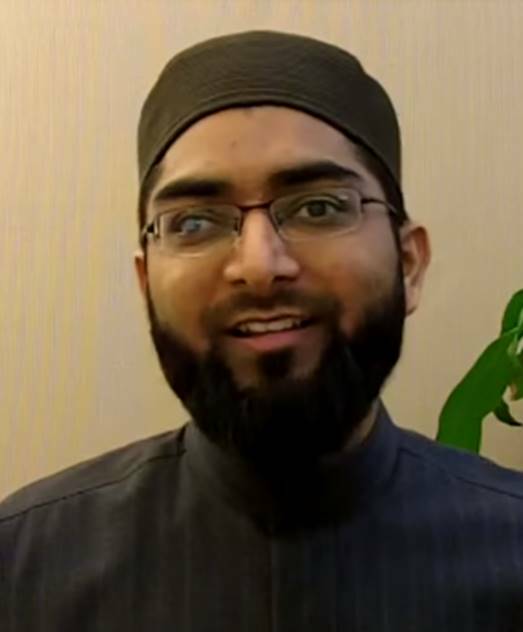 He has memorized the Quran, and has been studying tajweed both formally and informally many years and by the grace of Allah, has benefited from some of the experts in this field, including Shaykh Talal Ahdab from Toronto, Shaykh Abdullah Siraj from Egypt, Shaykh Uthman Khan from Toronto, and Shaykh Mohamed Umer Esmail from Texas. He also has training in the study of the ten qiraa'aat. He holds an Ijazah (license to teach & transmit Quran) from Shaykh Mohamed Umer Esmail, with a chain that extends back to Rasulullah sallallahu 'alayhi wa sallam. Shaykh Idrees Ally is both a patient and knowledgeable teacher, which makes learning from him pleasurable and highly beneficial. The preparation he puts into his lessons is combined with genuine concern about his students' progress. Signing up for Shaykh Idrees's courses is worth every cent, and is definitely the right option for anyone seeking to beautify his or her recitation. A talented and dedicated teacher! This class is a must for anyone looking to improve their Quran recitation! Jazakallah kheir for providing us with an amazing course on recitation that was so beneficial and inspirational at the same time, and I'm sure I speak on behalf of all students.